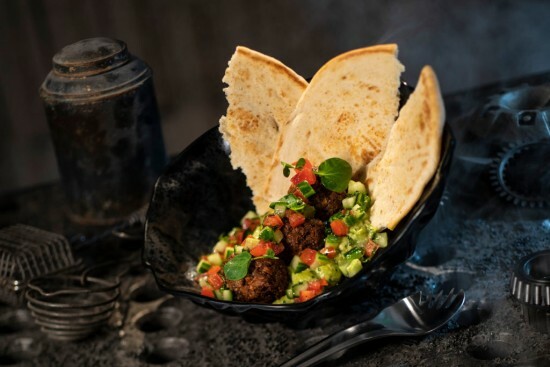 There will be 5 locations that serve food and dink in Disney's new Star Wars: Galaxy's Edge at Disneyworld in Orlando, Florida and Disneyland in California. Oga's Cantina, Docking Bay 7 & Cargo, Ronto Roasters, Kat Saka's Kettle and Milk Stand. 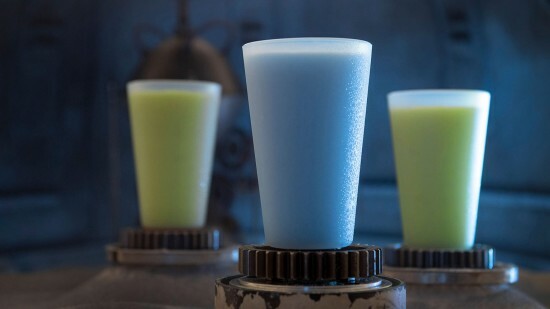 These will serving up galactic treats for guests exploring Star Wars Galaxy Edge. Their menu items will each have a unique Star Wars themed name and also take on an appearance of something from a galaxy far far beyond. 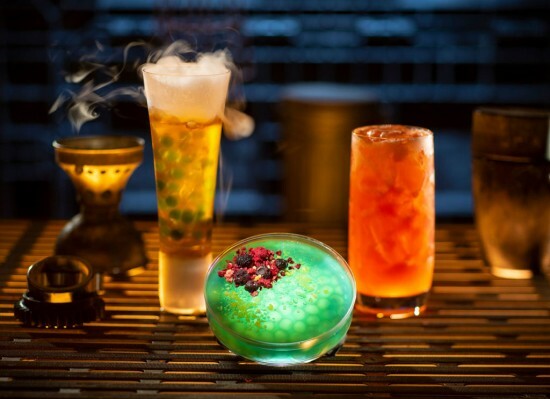 You will be ready to recharge your batteries after your long interstellar journey to the planet of Batuu and the Black Spire Outpost and the best way to do that is to make your first port of call to Oga's Cantina where you'll be able to order an out of this world drink such as an alcoholic cocktail such as a 'Yub Nub' (Rum Punch) or an 'Outer Rim' (Margarita) or maybe a 'Bespin Fizz' (Cosmopolitan) or even a 'Bloody Rancor' (Bloody Mary). 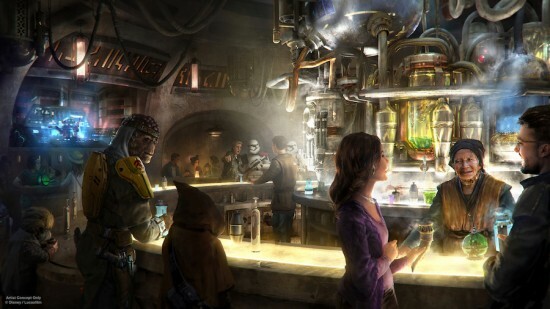 Non alcoholic drinks and cocktails will also be available such as a 'Jabba Juice', 'Black Spire Brew' or try a 'Carbon Freeze'. Also available will be the 'Blue Bantha Milk and Cookies'. Not in to cocktails then how about a beer a 'Bad Motivator' or even a nice glass of 'Imperial Red' and for the Cider lovers you can order a 'Spice Runner Cider'. Need to refuel? 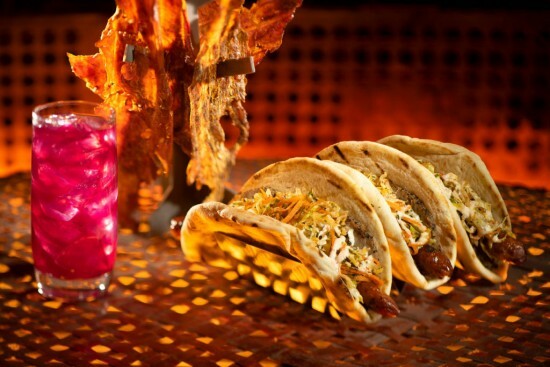 then stop off at Docking Bay 7 & Cargo, located directly across from the docked Millennium Falcon, the biggest restaurant in the Black Spire Outpost, this is a quick service restaurant serving an interesting menu of intergalactic food with bold and spicy flavours. In a hangar, guests will be seated on crates and barrels inside shipping containers that are full of surprises and special effects. Above their heads guests will see a cargo pod being lowered in to the hangar from a docked food freighter. Food is ordered and served from Cargo pods, each will have a different theme with their own unique vendor selling their own variety of Galactic food and beverages. 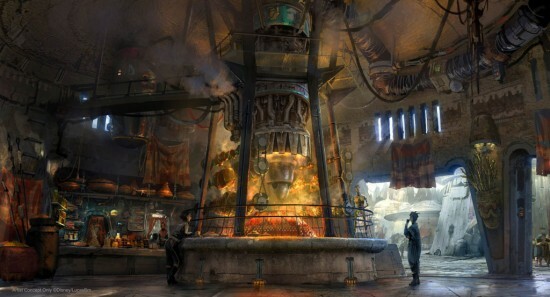 This eatery location will have a menu of sweet and spicy representing the light and dark sides of the force. Turkey jerky and spit roasted sausages roasted over a modified Pod-racing engine will have you salivating from the aroma even before you enter. Turkey jerky will come in sweet teriyaki or spicy herb, which side of the force will you take? Ronto Wrap, a sandwich spicy with Portuguese-style sausage and sliced roast pork with a Szechuan peppercorn clutch sauce. Fancy some out of this world Galactic popcorn then this is the place for you. Colourful popcorn mix will have a combination of sweet, salty, savoury and spicy flavours. The Milk Stand which is a walk up counter located in an outdoor courtyard will offer non-dairy, plant-based milk in two flavours.